'What could be nicer than strolling through a delightful, plant-filled garden, enjoying a "proper" home-made tea and at the same time raising money for charity?' These are the opening words in the 2015 National Gardening Scheme, Shropshire guide book. It lists all gardens in the county that open to the public and raise money for charity, and is more commonly known as the NGS Yellow Book. You should be able to find a copy of the Yellow Book for your county at your local library or garden centre. Shropshire also has a Historic Churches Trust Gardens that open during the year, a leaflet I also found in my local library. These books will open you to a world of gardens you never knew existed, a chance to see beyond the garden gate. One of the Yellow Book gardens I visited last year was Preen Manor, located at Church Preen, Shropshire. 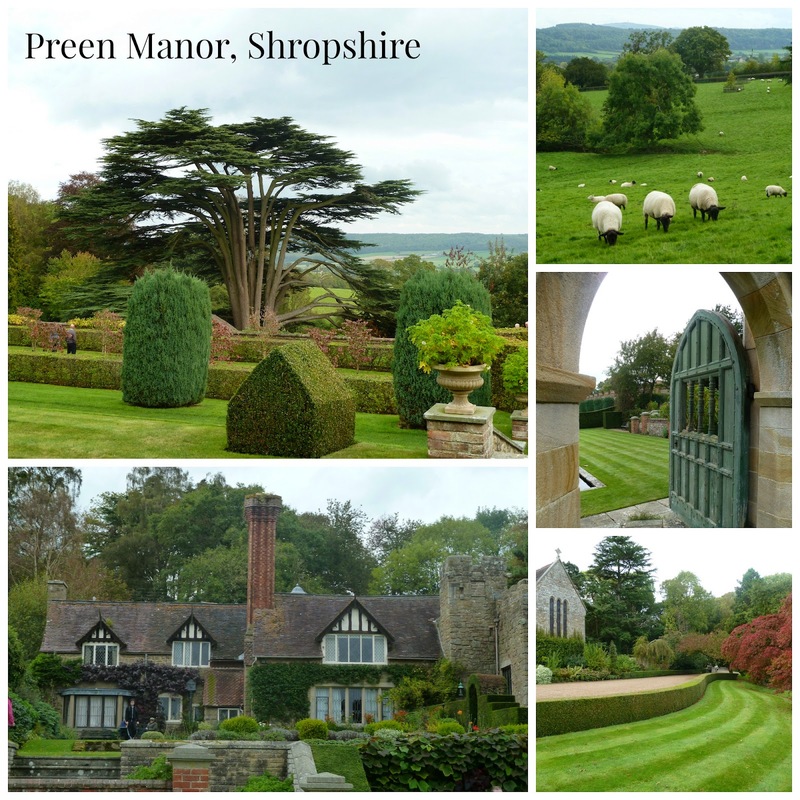 These were quite breathtaking gardens, located in the Shropshire countryside. A 6-acre garden on site of Cluniac monastery with historical connections to the nearby Much Wenlock Priory. Do you have a favourite Yellow Book garden?